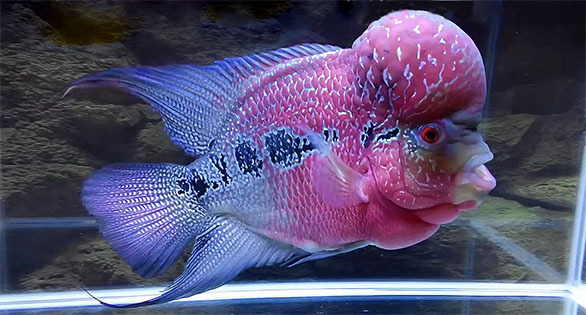 Foo the Flowerhorn: First video is an amazing documentary record of on year in the development of his “kok” (nuchal hump) under the care of a pampering owner. Whatever you happen to think of Flowerhorn Cichlids, they can put on a flamboyant show—and even learn tricks. The four videos in this collection give some insights into the life of “Foo the Flowerhorn,” and his meticulous, unnamed keeper. This aquarist is a stickler for clean water and excellent husbandry, and it shows in the videos.